These boots have rocketed up my list of all time favorite footwear. 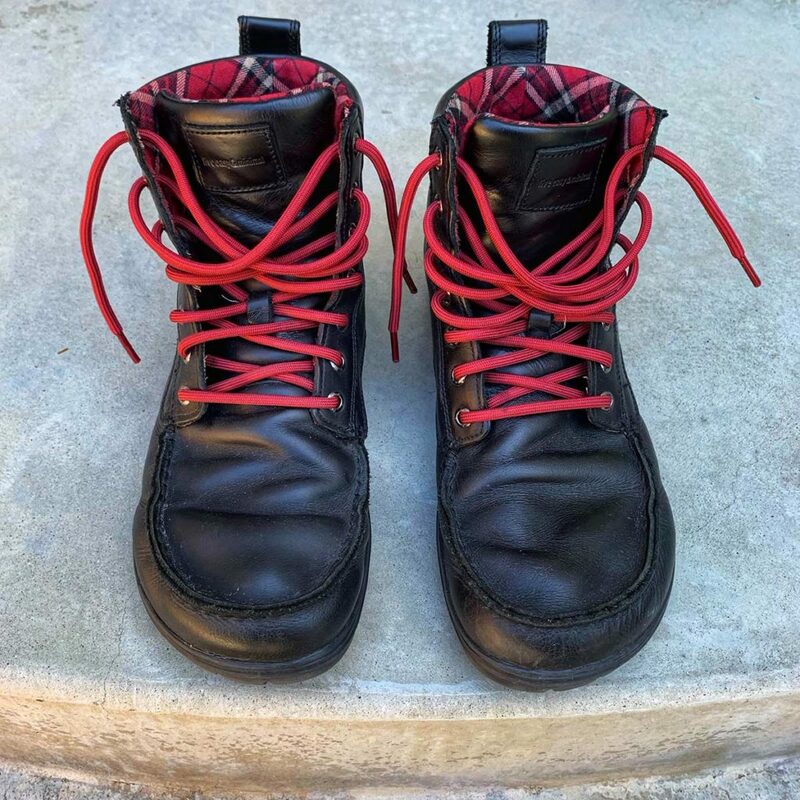 Lems is a small shoe company based in Boulder, hence the name of these boots. But let me explain a bit more. The Leather Boulder Boot is considered a “zero drop minimalist” boot. This means the shoe is built around the natural shape of your foot, has a wide toe box and is “zero drop” meaning both the heel and toe are flat to the ground. The shoes are ULTRA lightweight and don’t contain any rigid material so the boot can fold like unlike any other. I bought the black leather, as you can see, but the boot also comes in other materials. In addition, Lems makes a variety of other styles. Now, if I had to complain about something, which I will because it is MY site, the sole does wear down relatively fast. However, this MIGHT be my fault. The front of the sole is fine. The ONE area that is wearing quickly is the back, outside heel section. Now, I’m using an insert in these boots for two reasons. One, plantar fasciitis from doing a 30k with no training….and two because my feet are super narrow and these boots are not. So, the insert fills out the inside of the boot just perfectly. Did I mention I love these boots? I’ve also noticed that my feet have begun to spread out a bit. Not anything freakish mind you. My feet are still very bird-like, but the added room in both my Lems and my Altra Lone Peak’s has begun to make a difference. Lems is currently running a sale, so if they look good to you I highly recommend them. But remember, these are MINIMAL boots. So be prepared for a new feel. I don’t hike in these, but if I’m off trail these babies on my feet just about 100% of the time.